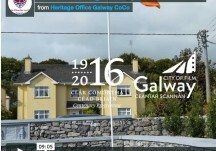 Galway County Council is delighted to present ‘Remembering Galway 1916’ – a series of 8 short documentaries about the 1916 Rising in County Galway and how we commemorated this historic event in 2016. 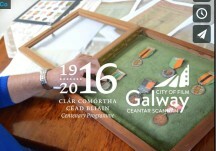 Many of the stories deal with relatives and community groups and how they have reconnected with 1916. 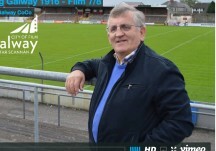 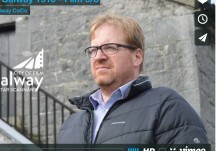 One story sees a relative of Liam Mellows visit Athenry for the first time to see where Mellows planned his revolution. 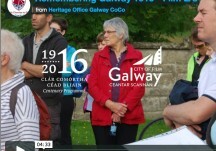 Another tells the unknown story of Bridgid Walsh of Cumann na mBan and how she contributed to Galway’s Rising. 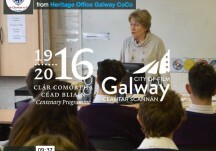 This project was produced with Galway County Council Heritage Office, The Heritage Council, Galway Film Centre/Galway City of film and GMIT.